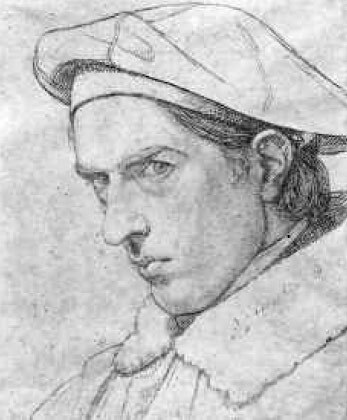 In June 1810 Johann Friedrich Overbeck, Franz Pforr, Ludwig Fogel and Johann Konrad Hottinger, all students of the Vienna Academy, united around the idea of combating academicism to support new artistic principles of historical painting. They founded the St Lucas Brotherhood and travelled to Rome. 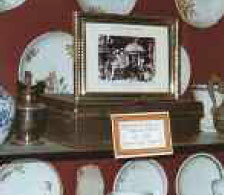 First, they settled at the Villa Malta in Pincio1. 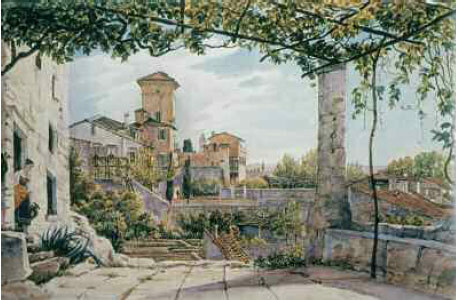 A watercolour by Franz Ludwig Catel shows the villa. 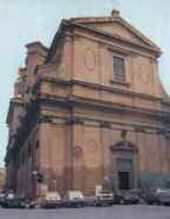 Later, in September 1810, the Brothers moved to the monastery of St Isidoro, founded in the sixteenth century by Franciscan monks. Johann Overbeck and his friends lived like monks, simply and austerely, following a daily routine: they worked in their cells all day; in the evening they came together in the refectory to show and discuss their sketches, drawings and paintings. They avoided secular entertainments, spending their leisure time in strolls or playing domestic games. If they undertook any work, it was gratuitous; for example, they painted the Stations of the Cross in the Church of St Andrea delle Fratte without taking a penny. The Brothers wore traditional German costumes of black velvet decorated with white collars of lace, with berets on their heads. Some of them carried swords. They wore their hair long a la Nazarene, like Jesus the Nazarene. Thus the brotherhood was sometimes called "the Nazarenes”. True, tall and thin Overbeck, with his long fair hair and an estranged, thoughtful look in his eyes, more closely resembled an anchorite or hermit. 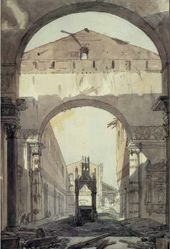 Later some of the Nazarenes (Cornelius, Schadow, Schnoff von Carolsfeld) returned home, while others (Overbeck and Catel) stayed in Rome until the end of their days. Via St Isidoro, the street that runs a short way from Via Vittorio Veneto, two minutes' walk from the Church of the Capuchins and Piazza Barberini with an Irish Catholic church bearing the same name opposite it, was well known to the Russian community. Here Orest Kiprensky, the painter, lived at No.19 in 1820, at No.18 in 1821, at No. 20 in 1827 and at No. 17 in 1829. 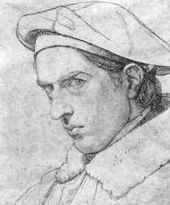 The Russian sculptor Samuil Galberg occupied No.17 in 1822. 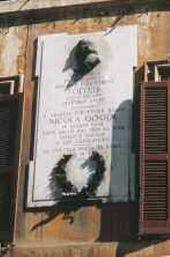 Nikolai Gogol, the famous author, rented accommodation from Giovanni Massucci's widow at No. 17 in 1837. Apollon Mokritsky and Anton Ivanov, two scholars of the Russian Emperor's Academy of Arts, lived at No.17 in 1844. 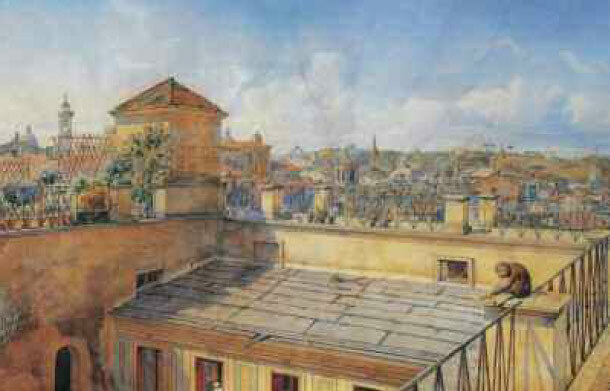 Nearby, in 1823 the Brullov brothers lived at 21 Via Quirinale. The Russian painter Alexei Varnek occupied a flat at 41 Via del Babuino from 1804 to 1809. 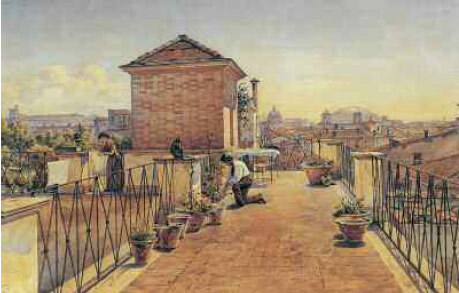 But the most popular residential area among Russian painters was Via Felice, later renamed Via Sistina2. Via Felice was a kind of Montmartre for Russian artists who displayed their pictures in their studios before sending them to clients. Nikolai Gogol, who lived at No. 126 (across the street from painter Alexei Markov at No. 22) must have found such a neighbourhood very convenient to be au courant with the latest trends in art. Moreover, Via Sistina was full of art and antique shops. 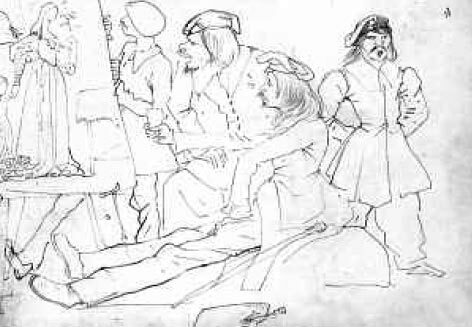 The acid-tongued tone of the above remarks matches the caricature made by Karl Brullov: "German Students (the Nazarenes)". The letter box is still being kept as a relic by the today's owners of the cafe (see the photo taken by the author of the article). 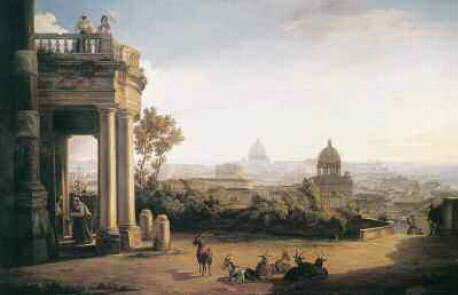 In Jakob Wilhelm Mechau's "The Pyramid of Cestius" there can be seen, beside the Pyramid, St Paul's gates and part of the Aurelius wall of the late third century AD, which used to be the boundary of the ancient city. Many artists have painted the Testaccio Cemetery. 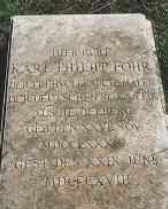 The Russian Fyodor Bruni has at least one scene with the tomb of Adjutant General K. Merder. 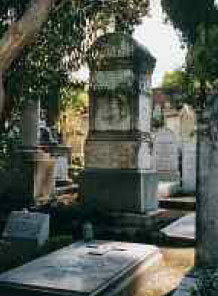 The first grave, according to historians, dates from 4 August 1732. The eastern part of the cemetery, adjoining the Pyramid, is called the Ancient Site. There are only two Russian graves - Wilhelm Grooth and Duchess A. Chernyshev. As for the German community, it is here that Carl Philipp Fohr, who drowned in the Tiber, is buried. 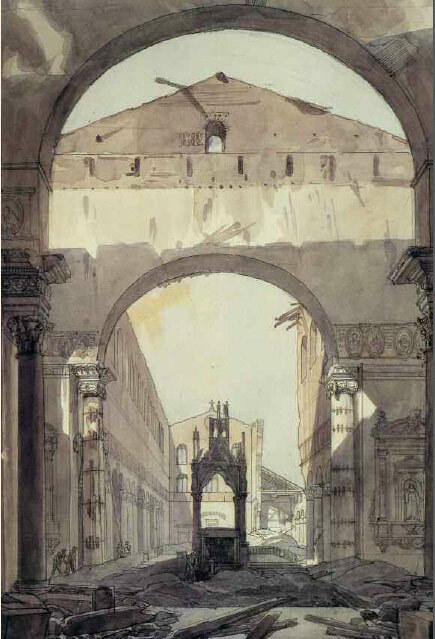 In August 1822, by order of Cardinal Consalvi, the Ancient Site was closed. From that time the western part was used as a burial ground. It was named the Old Zone.13 Here you can find other German graves: August, the only son of Goethe, and August Kestner, the Ambassador of Hanover, a great art collector and patron of the Nazarenes (see the photo by the author of the article). Of the Russian graves the tomb of Karl Brullov, designed by the architect Mikhail Shurupov is of particular interest. 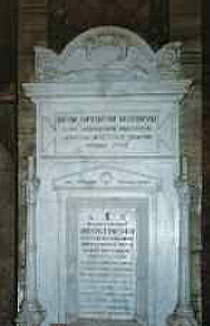 That there are no Christian symbols on the tomb can apparently be explained by the Papal veto that existed until 1870: a special Papal Committee strictly enforced the dogma "Extra Ecclessiam, nulla salus", that is "there is no salvation outside the Church" (meaning the Catholic Church - LM). To be fair, one should note that there are non-Catholic crosses on some tombs, such as the Greek cross engraved on the tomb of the painter Vasily Shterenberg (died 08.1 1.1845) (see the photo by the author of the article). In conclusion, the profound words of Mikhail Osorgin, an emigre Russian author, seem very appropriate. Villa Malta was named for the Grand Master of the Maltese Order de Breteuil. In the late sixteenth century the Villa belonged to the Minorite Brotherhood, but in 1611 it came into the possession of Pope Paul V. In the eighteenth and early nineteenth centuries the Villa was rented to travellers coming to stay in Rome. Besides others, Amalia von Braunschweig, I.Herder and Wilhelm and Carolina Humboldt are known to have stayed there. 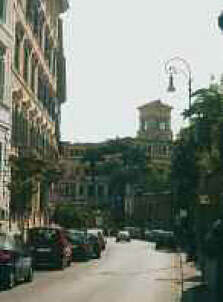 The street was named after Pope Sixtus V, baptized Felice, who built the street in 1 585. To have the street populated rapidly, Sixtus V granted its dwellers major tax concessions. The street was 2,787 metres long. It used to run straight from the Church of Trinita dei Monti to the Cathedral of Santa Croce of Jerusalem. It was not until 1870 that this part of the city became built-up, so from that place one would have been able to enjoy wonderful scenery. Close to Trinita dei Monti, famous for "Madonna" by Philipp Veit, there lived at No. 46, in different periods, Claude Lorrain, Nicolas Poussin in the house across the street, Salvator Rosa and Giovanni Piranesi. Pavel Annenkov. N.Gogol v Rime letom 1841 goda (Nikolai Gogol in Rome in the Summer of 1841) In:"Gogol v vospominaniyah sovremennikov" („Gogol in the Memoirs of His Contemporaries"), Moscow, 1952, p. 276. Fyodor Tolstoy’s traveller’s notes and diaries. The voyage to Italy and the trip back to Russia through Austria and Poland. 1845-1846. Manuscripts in the Russian Museum, St. Petersburg. Acknowlegement to Olga Allenov. Nikolai Gogol. Complete Works in 14 volumes. Moscow-Leningrad, 1937-1952. Vol. 11, p. 121. The Coat of Armour of Marquis Carlo Lepri, once the owner of the house where the famous trattoria was located in the yard, included the image of a hare which led foreign travellers to adopt the nickname: ‘lepre’ is Italian for ‘hare’. 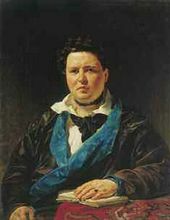 Lyudmila Markina. Zhivopisets Fyodor Moeller (Painter Fyodor Moeller). Moscow, 2002, p. 32. 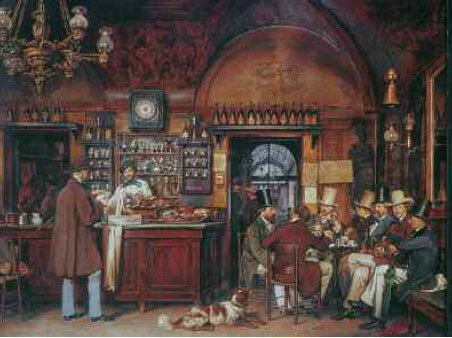 The cafe got its name from its proprietor, Nicola della Maddalena, an ethnic Greek. According to some sources, the cafe in Strada Condotti was there as early as the eighteenth century. Giacomo Casanova, the notorious adventurer, is said to have come there in 1 742. K.PBrullov v pismakh, dokumentakh i vospominaniyakh sovremennikov. (Karl Brullov in Letters, Documents and Memoirs of His Contemporaries). Moscow, 1952, p. 49. Fyodor Iordan. Zapiski rektora i professora Akademii Khudozhestv F.I.Iordana. (Notes by Warden and Professor of the Academy of Fine Arts Fyodor Iordan) Moscow, 1918, p. 149. The area was named after the artificial hill (about 52 metres high) called Monte Testaccio. According to archeologists, the hill was made of a huge number of broken amphoras used by ancient Romans for the transportation of oil and wine. The word "testaccio" means "a mount of tiles or pots". The major attrac­tion of the area has always been the antique pyramid built in 12 BC and used as the family vault of Tribune Gaius Cestius. 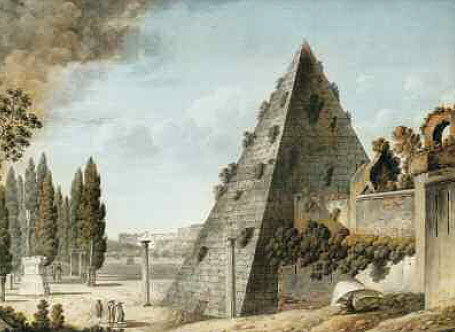 In the Middle Ages the Pyramid was thought to be Romulus’s tomb. 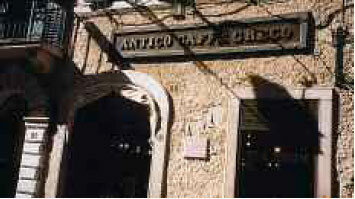 Malizia G. Testaccio. Roma, 1996. Beck-Friis J. Der Protestantische Friedhof in Rom. Friedhof der Dichter, Denker und Kunstler. Malmo, 1993. Vanda Gasperovich, M.Katin-Yartsev, M.Talalai, AShumkov. Testachio. Necatolicheskoye kladbische dlya inostrantsev. Alfavitny spisok russkikh zakhoroneny (Testaccio. Non-Catholic Cemetery for Foreigners. A List of Russian Graves in the Alphabetic Order.) St Petersburg, 2000. Mikhail Osorgin. Pippo. Peresvet. Book 1, 1921, p. 62-63. Rome. Via Condotti Entrance to the "Cafe Greko". Rome. Testaccio. 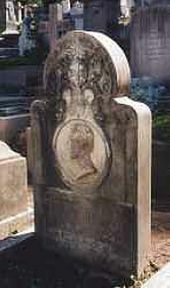 Tomb on Carl R. Fohr’s grave with the inscription in German: "Er ertrank beim Baden im Tiber"